‘Alchemy’ is a precursor to the Arvind Indigo Museum that will soon come up at Arvind Mill’s Naroda campus in Ahmedabad. 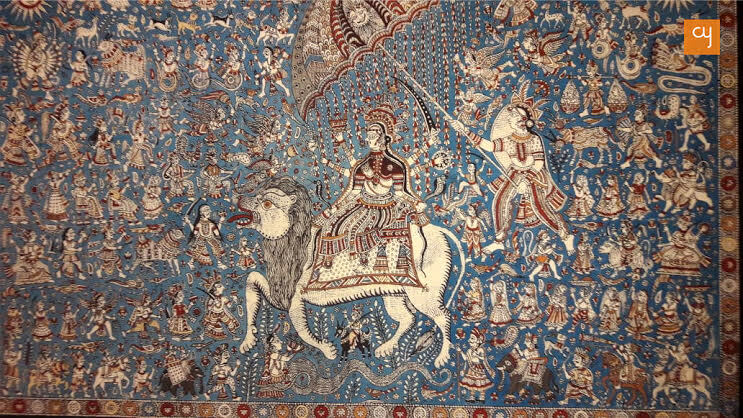 Alchemy is the newest exhibition in Ahmedabad, but it showcases not just some artworks – it also gives a beautifully pieced together overview of the coloured product that is indigo – the unique blue that’s better known perhaps as “neel” in India. A precursor to the Arvind Indigo Museum, the exhibition depicts indigo’s production and application in textiles and more, as also a bit of its history vis a vis the Britishers and Gandhi, a la his Champaran satyagrah. 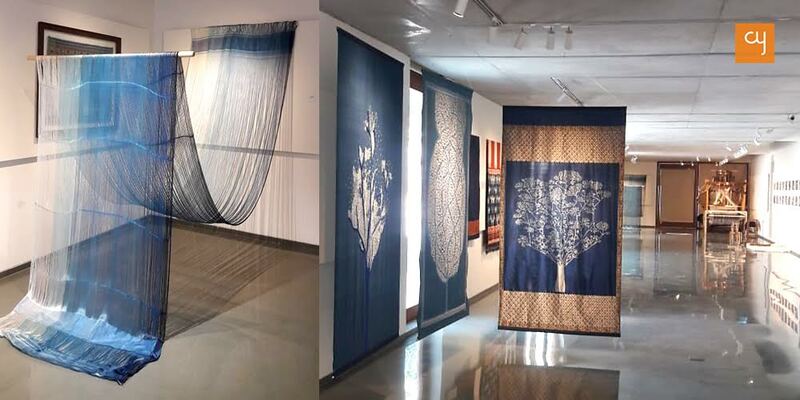 The exhibition, which opened on Sunday, January 27, has been put up by the Kasturbhai Lalbhai Museum located in Shahibag area of the city and has segments about Indigo’s application in denim production, its use by designers and craftsmen in their creations, and a segment that has art based on the colour and indigo natural paint, which again is split into three parts within the premises of the museum. Notably, the regular art-ware at the museum has been temporarily removed for using the space for this special show. The displays now being shown are likely to be shifted later to the Indigo Museum coming up in the Mill premises in Naroda area of the city. 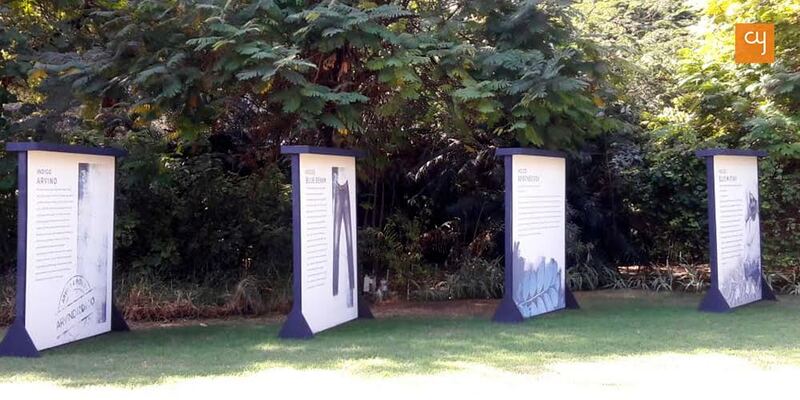 The first segment, called Indigo Story, comprising of panels, greets you in the lawns of the museum building. 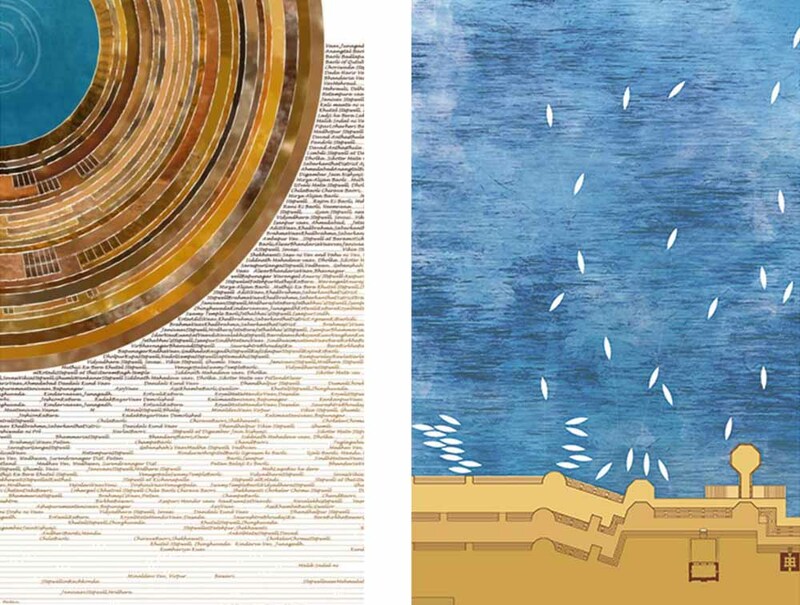 Curated and coordinated by Manisha Todi and bearing titles like Dyeing Alchemy, Indigo Chemistry, Indigo Blue Gold, Indigo Etymology and more, the panels arranged in a circle capture the evolution of the dye indigo from the plant indigo, from times immemorial; and not merely in India, as the segment goes on to describe the meticulous process of its production from 700-odd species of the plant Indigofera found all over the world! A quote by poet William Morris aptly underscores the uniqueness of Indigo: “Of blues, there is only one real dye, Indigo”. It was this unique blue that lead to the emergence of blue denim and its eventual production and export under the celebrated brand called ‘Arvind’ that we know and relate to a little more than others, being in what was the city of the Manchester of the East; and a success story of its own kind from India in the popular and happening realm of denim and jeans, what with its characteristic of uniquely fading over time! When this segment over, you are led to the solo art segment by Manish Nai, in the annex of the premises. Nai has experimented with the colour Indigo on three of his untitled works using jute, compressed jute threads and aluminium foil. In between, a table displays Indigo in its various forms, from plants to dry leaves to seeds to paste to cakes and powder. 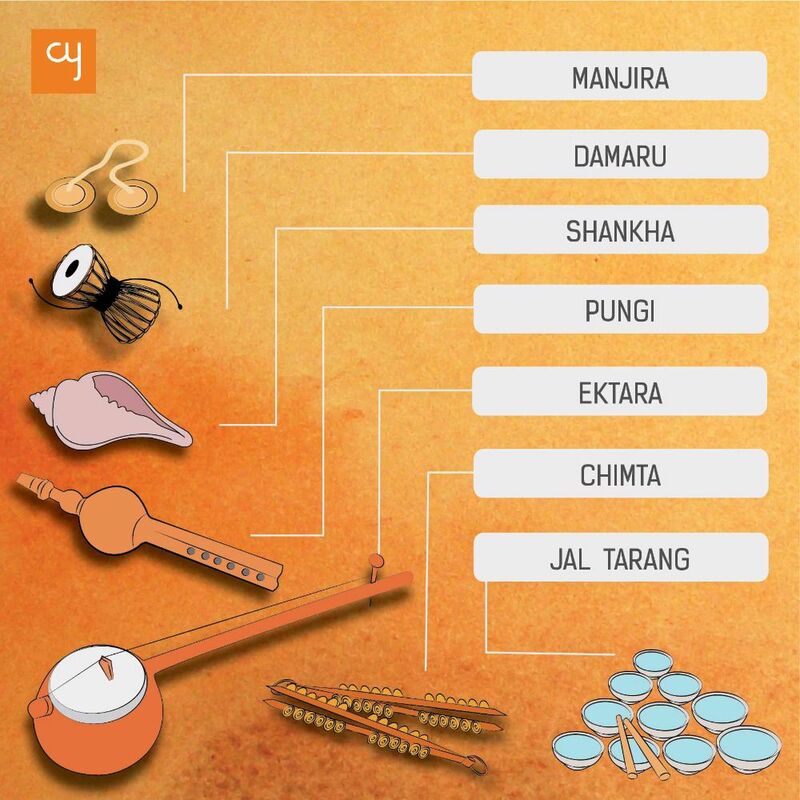 Some real stuff for the uninitiated! The third segment showcases fabrics, apparels, looms, fibres dyed and produced in shades of Indigo, or craftworks readied with materials based on the use of Indigo. 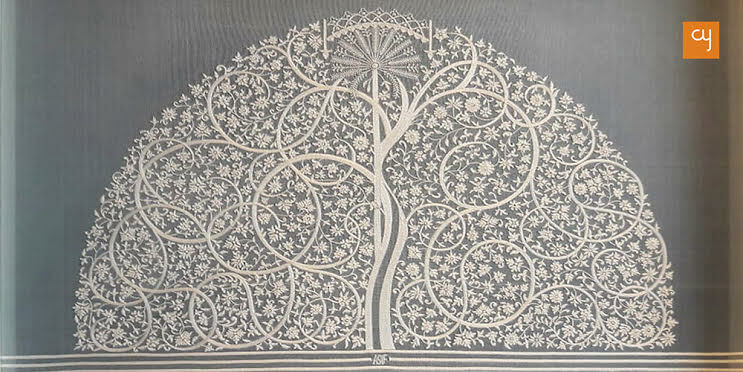 Five versions of The Tree of Life by Hansika Sharma of Patna, who now works from Ahmedabad, should qualify as the highlight of this segment! These works are crafted on fabrics, indigo-dyed paper and with natural indigo paint. Well-known and homegrown craftsman Asif Shaikh has been invited to display two of his fine works – the first of which is again The Tree of Life – wherein he uses Indigo-dyed silk yarn and pashmina with beetle wings and zardozi to create his motifs. 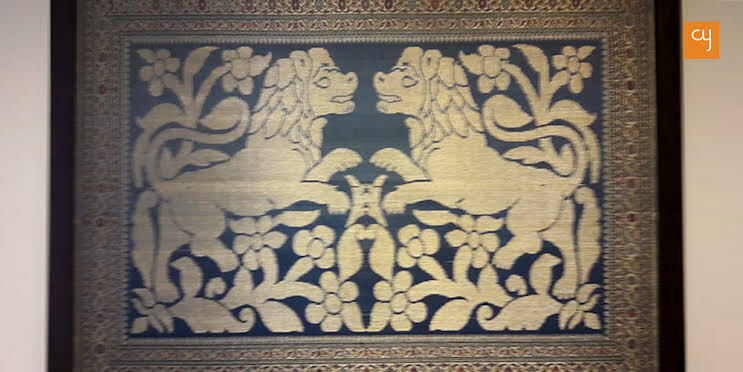 While on crafts, we also see a wall-hanging work in Ashavali brocade by Paresh Patel that’s just mesmerising, with the neat finish of its Lion figures! There also is on view an intricately made Mata ni Pachhedi with all its incumbent and fascinating detail, done so painstakingly by young Kirit Chinara. This one is a natural Indigo work. This segment, significantly, also showcases shoulder cloths, hip cloths and full tubular dresses for women and men – Lan Pakambuli and Hinggi, respectively – based on the use of fibre dyed in indigo shades from places as diverse as Sumba, Lembata Island, Timor and Jawa! 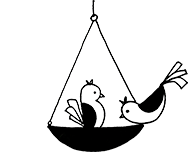 You also see samples of Khadi denim, which is perceived to be catching up hugely in the world of apparel and fashion, both for its comfort and visual appeal. 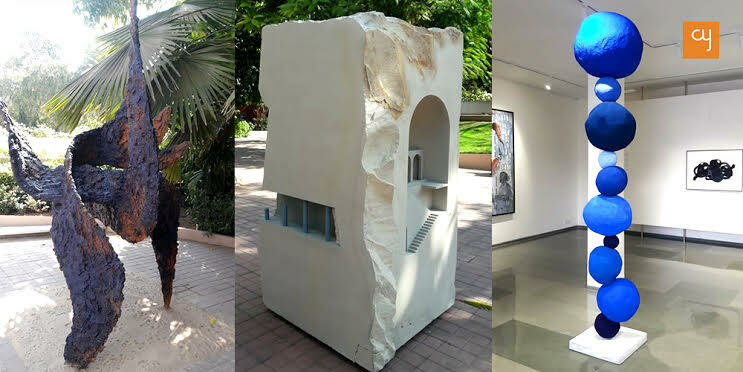 The fourth segment in the main building, or on its pathway near the lawns, has some fascinating artworks created dominantly in Indigo by Nalini Mehta of Karachi, now practising art from Mumbai; Annie Morris, Manisha Parekh, Umang Hutheesing, Vyom Mehta, Kavin Mehta and others. Two life-size sandstone sculptures treated with Indigo by Kavin Mehta, and work in cast iron also treated with visible but evaporating splashes of indigo paint, make some interesting studies for the last stop for a photograph! 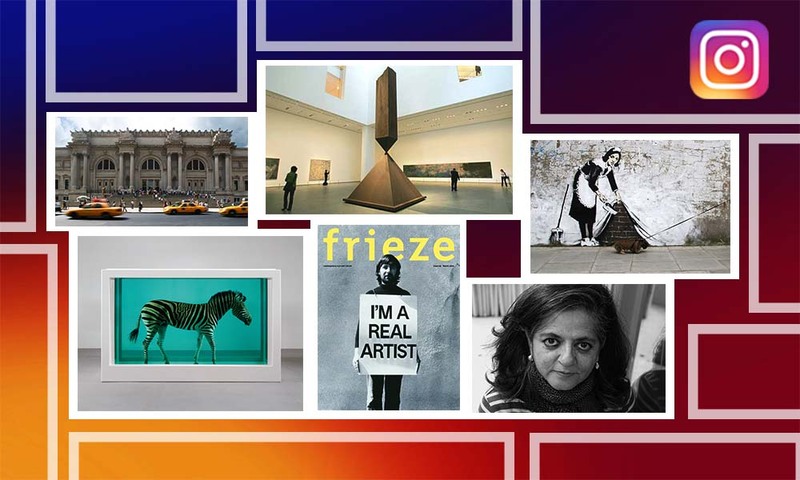 The multi-segmented show, curated-executed by the team of Sanjay Lalbhai, Anupa Mehta, Vipul Mahadevia and Manisha Todi, is not just a show. A few staff members share that it’s aimed at boosting the careers of indigo farmers and craftsmen who live by their art, using the vital ingredient. Sounds good and purposive! The show will be on till the March 31. 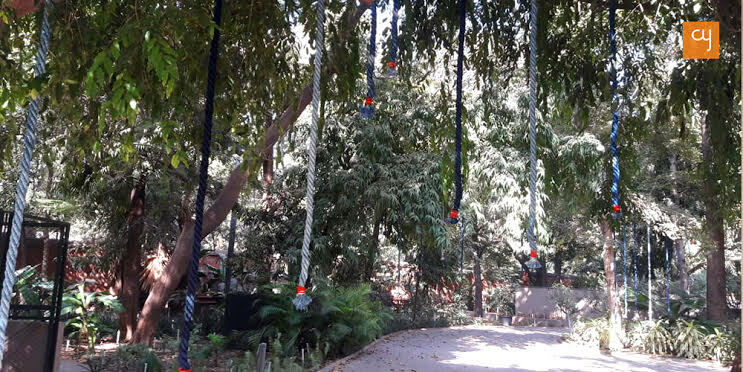 Easy to access with an adjoining plot for parking, the show at Kasturbhai Lalbhai Museum in Shahibaug would remain open practically the whole day from 10am to 5pm, all days except Wednesdays. It’s a good watch for variety on one central theme.